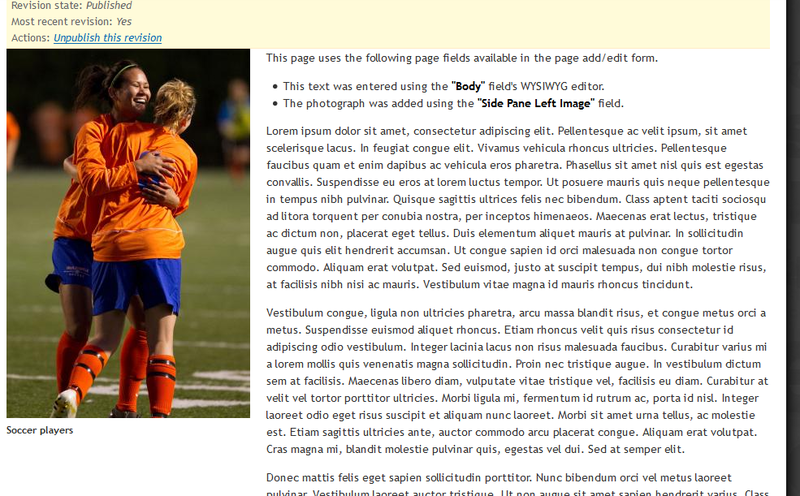 This page explains how to add a side pane image to the left of the webpage. Click on the "Images" tab in the side menu of the Edit Page screen. Scroll down to the field titled "Side Panel Left Image"
Use the "upload" tab to add an image from your hard drive. Use the "file browser" tab to choose an image that has already been uploaded to the server. Use the "remote URL" tab to link to an image on another website. Each image needs to have "alternate text" for screen readers and search engines. The "title" field is optional and can be left blank.